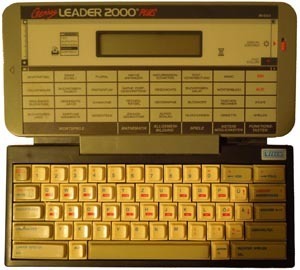 here we have the bios of "GENIUS LEADER 2000" and "GENIUS LEADER 2000 PLUS", which are the german versions of "PreComputer 2000"
if someone can help how to dump the chrgen, please contact me! if needed i can also provide draws of the characters and their position in the character-table. 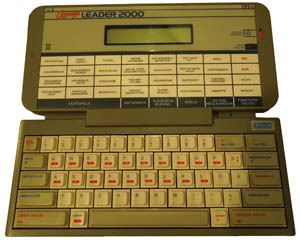 i only would need someone who can help generating the chrgen rom. i also got a cartrige for this system. 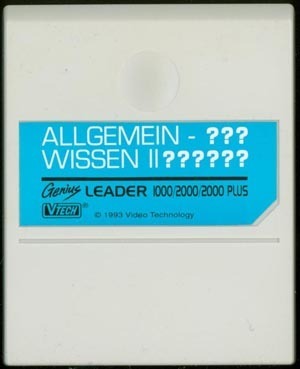 As with most vtech cartridges the rom inside the cartrige contains two games. first half is "Allgemeinwissen II", second half is "Fantasie Trivia". so hopefully someone can add this also to MESS. 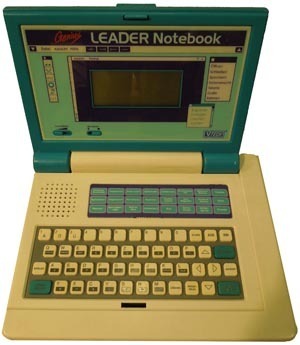 last but not least we have the "GENIUS LEADER NOTEBOOK" bios dumped now too. this system is not supported in MESS so far. hopefully someone is interested in adding it.